The term “Giving While Living” is globally associated with Chuck Feeney, the Founding Chair of The Atlantic Philanthropies, a major international philanthropic foundation. He is the “anonymous donor”, a man who lives to give away billions. By SHELAGH GASTROW. The “giving while living” philosophy inspired the famous Giving Pledge initiated by Bill and Melinda Gates and Warren Buffet, which has now over 100 signatories who have committed to giving away at least half of their wealth. My first association with the foundation was when they were funding projects at the University of Cape Town in the 1990s and had extremely strict rules relating to anonymity. Despite the large amounts of funding that were being invested in various university projects, they were extremely firm about any relapse that might indicate who the funder could be. We had to refer to the foundation as the “anonymous donor”, both within the office and externally. Subsequently, this changed and The Atlantic Philanthropies emerged from anonymity with a more public face, but Chuck Feeney himself rarely appeared in public. Feeney was born in the US during the Great Depression and as a young man enlisted the US Air Force. He benefited from the GI Bill, a government funded education scheme for ex-combatants, and attended Cornell University, being a first generation university student. On graduation he established a business selling goods to American soldiers in Europe and this ultimately became Duty Free Shoppers, the biggest luxury goods company in the world. In 1982 he was an extremely wealthy man, but decided to give away his share of Duty Free Shoppers to The Atlantic Philanthropies which he established and served as Founding Chairperson. In total, from its establishment until its last grant, it made grants and donations exceeding $6.5-billion, focusing on education, health, peace, reconciliation and human dignity. The foundation operated in South Africa, Australia, Bermuda, Northern Ireland, the Republic of Ireland, the USA and Vietnam. Feeney transferred nearly all of his assets to the foundation in the late 1980s and for the first half of its history, the foundation’s grant making was done anonymously. Feeney is a visionary himself and has not been shy to try to address major issues. The Atlantic Philanthropies was involved in supporting the peace process in Northern Ireland, modernising Vietnam’s health systems, seeding universities across Ireland that boosted the country’s knowledge economy and contributing to an applied sciences campus on Roosevelt Island in New York which would become a centre for technology and entrepreneurship. It is clear that Feeney is attracted to other visionaries and his interest in South Africa was stimulated by a meeting with Cyril Ramaphosa who shared his experiences in Codesa and the multi-party negotiations in South Africa that led to democracy. Seeing similarities with the peace process in Northern Ireland, Feeney and The Atlantic Philanthropies began a long commitment to South Africa, supporting improved health care and health equity, social change and human rights and fulfilling the promise of the country’s new constitution. He visited South Africa in 2005 and met Brian O’Connell, the Vice-Chancellor of the University of the Western Cape, who espoused his dynamic vision for what was viewed as a “bush college” to become a symbol for outstanding and relevant scholarship in Africa. Feeney was inspired by O’Connell’s vision, part of which included the dream of a flagship Life Sciences building to accommodate the institution’s leading research capacity and to attract top scholars and students from Africa and elsewhere to the institution. Feeney ensured that O’Connell’s dream would be fulfilled and funding from The Atlantic Philanthropies provided leverage for the university to approach the then Minister for Higher Education, Naledi Pandor, for matching funds. As O’Connell stated: “Someone external to ourselves having faith in us, the psychological impact was tremendous.” For the first time in 15 years, the government put funding into a new university building and the impact led to significant infrastructural funding for the whole university sector. For those of us who drive past the University of the Western Cape on Robert Sobukwe Road, Bellville, this magnificent iconic building is there to view. For those of us who only focus on the big two institutions [UCT and Wits], perhaps it might be a source of incredulity to discover that UWC produces the largest number of black and female science graduates in South Africa and leads the continent in physics, biology, biochemistry, molecular biology, nanotechnology and genetics. This was the vision Feeney and O’Connell had for the university. Subsequently The Atlantic Philanthropies and The Kresge Foundation, another source of funds for the building, created The Brian O’Connell Visiting African Scholar Fund in his honour. Feeney, through Atlantic, has made a major contribution to South Africa, totalling $357-million by 2015. Numerous organisations and institutions received support including the Children’s Institute at UCT; the Legal Resource Centre; the Peace Accord Trust, the Nelson Mandela Gateway at Robben Island; the Black Sash; the Lesbian & Gay Equality Project; the District Six Museum; Schools of Public Health at UWC, Wits, UCT and the University of Pretoria; the Museum at Constitutional Hill including art work; an investment of $32.8-million to strengthen the nursing sector in South Africa; Umthombo Youth which has developed a hugely successful methodology to train and retain health professionals in rural hospitals; the Treatment Action Campaign and Health-e News. Many of the organisations receiving funds in South Africa played a key activist role in society, working with immigrants and asylum seekers; undertaking litigation; providing legal support for the poor; opposing farm evictions, among others. This was real activist grant making, strategic in nature in that it created systemic change. The Atlantic Philanthropies began to wind down its operations with specific targets in mind, and made its last grant in 2016. Many other philanthropic entities have been watching how this has been managed. Giving While Living is an alternative framework for institutionalised foundations and is a strong message for individuals who are exploring the legacy they would like to leave in the world. The question is, do we give in perpetuity as has been the tradition, or do we use the resources we have to change the world now? Which is more sustainable? Which is more urgent? Closing down a foundation of the size of The Atlantic Philanthropies has been no easy task as, if it is to be done responsibly, with future impact, great care is required. Limited life foundations need to explore areas where there can be impact over a short period of time and this is unusual in the social sector where we deal with change in a messy, complex and unpredictable society. According to Forbes Magazine, Feeney is rigorous in his giving practice. He requests “detailed business plans with clear milestones and full transparency. If a project runs off course, Feeney cuts funding. He chooses programmes that promise exponential returns that will allow people to lift themselves up”. Forbes points out that a “classic Feeney cause” is Operation Smile that provides surgery for children with cleft palates. He has contributed $19.5-million to this cause which has huge impact on every child that benefits. He believes strongly in leverage and matching grants, never seeking name recognition on buildings as this could deter other donors from giving. 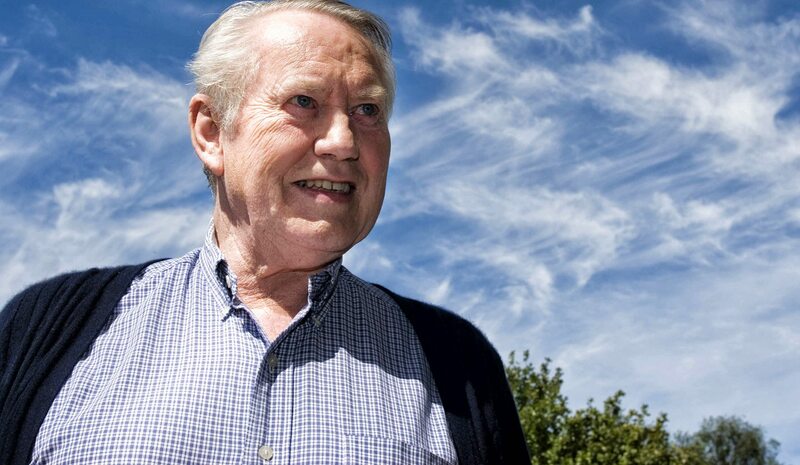 There is a great deal that we can all learn from Chuck Feeney. Those with wealth can learn how to give back to society strategically and without fanfare; other philanthropic foundations can learn how Atlantic engaged with its partners, allowing them to decide on the best approaches to solve problems in their own contexts, and supporting those decisions; governments who have learned to work with philanthropy at all levels – in building infrastructure, in policy-making and constitutionalism and, finally, civil society organisations who have learned that leadership, deliverables, transparency and impact are important to attract financial support.